Very interesting silhouette. 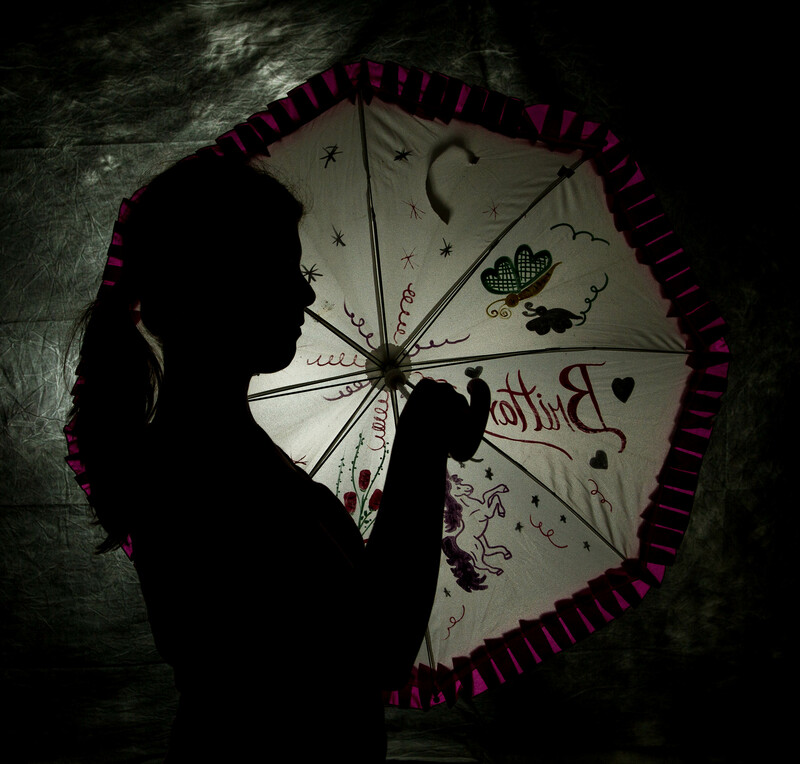 The contrast of your daughter’s outline with the colors popping out from the umbrella make a lovely combination. Thank you. I can not recall where I saw the concept but being new to flash photography i had to try it. The shape of the silhouette is almost classic, especially with the pony tail. The colors of the umbrella and use of light makes it more modern. It’s a great combination and very well done. Thank you very much for your comments! I have to try and get the name on the umbrella turned around. That will be next!